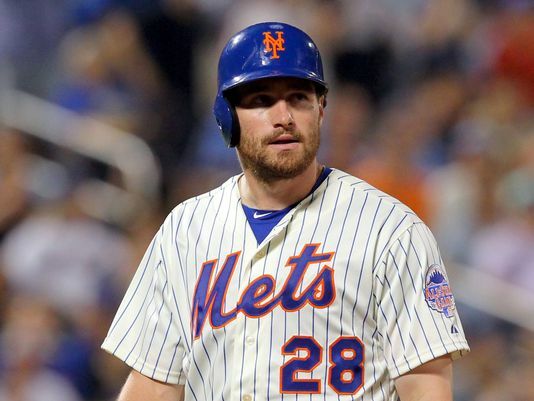 On Christmas Eve 2015, Daniel Murphy signed a 3-year deal with the Washington Nationals worth $37.5 million. While Mets fans were almost universally upset to see him go, little did we know just how much this would hurt. Now that the contract is over, we can see just how bad this decision was. Daniel Murphy didn’t just spend the next few years hurting the Mets, he destroyed the Mets. The table below shows just how absurd it was. Stats of this caliber are usually only reserved for Barry Bonds during his heyday. In November 2015 the Mets extended a qualifying offer. Had Murphy taken it, he would have made $15.8 million and been a Met in 2016. In other words, let’s not pretend that the Mets made no effort to keep him. Once he declined, the Mets knew that they would get a compensation pick so long as he signed elsewhere. In the end, the Mets got Anthony Kay with the 31st overall pick in the 2016 draft. While Kay had a decent 2018 season on the A level, time will tell if this paid off. Most people had a similar feeling about Murphy. I love the guy but… he’s his defense turns my hair gray. This goes beyond errors and defensive metrics. He simply made boneheaded plays. In fact, during the 2015 playoffs, Gary Cohen said that he didn’t want the Mets to re-sign Murphy. As someone who watched Murphy nightly for close to a decade, Cohen saw a flawed player. If you add in the baserunning blunders, it was getting out of hand. Bottom line is that after the horrible error in game 4 of the World Series, many had enough. Was this the most costly error in Mets history? When doing long term planning, age is a big factor. Being that in 2016 he was on the wrong side of 30, it didn’t make much sense at the time to invest heavily in a guy who had never had a great regular season. While he was mostly healthy as a Met, there were several injuries on his record. He missed almost all of 2011 with a serious MCL tear. A strained quad in June 2015 cost him a few weeks. Many thought that at age 31, he was going to be old and injury prone. The 2015 postseason was when Murphy showed us just how good he was. Murphy destroyed the baseball in a way few ever have done on such a big stage. He earned a place in our hearts forever. With that said, he had a bad World Series. When all was said and done, the home run streak was seen as a fluke. Crazy things happen in baseball. No one hits like that for a whole season we thought… and then 2016 happened. Going into 2016, the Mets had several promising middle infield prospects. The two main ones were Gavin Cecchini and Dilson Herrera . That year, both were 21 and hitting well on the upper levels of the minor leagues. Herrera had 11 dingers and stole 13 bases in AAA, which gained him a lot of attention. Add in the fact that he had some big-league experience and he was crowned the second baseman of the future. The Mets also had TJ Rivera. While his numbers were similar to Cecchini and Herrera, being five years older meant he was under the scouts’ radar. In addition, Wilmer Flores had made some significant improvements when he batted .280 in the second half. With a 19-year-old phenom in AA named Amed Rosario, the Mets didn’t need to sign Murphy to a long-term contract as they felt that they had plenty of options up the middle. The young Herrera was supposed to replace Murphy. The plan failed. In 2015, there were no shortage of very good second basemen. If you had to name the top second basemen, Murphy wouldn’t be on the list. Brandon Phillips, Brian Dozier, Dee Gordon, DJ LeMahieu, Ian Kinsler, Jason Kipnis, Joe Panik, Jose Altuve, Logan Forsythe and Robinson Cano all had excellent numbers. Some would have even added Neil Walker to the group. Therefore, Murphy had a low WAR. It is not that Murphy’s numbers were inherently bad, but relative to the competition he was mediocre. Murphy’s 2015 stats compared to other second basemen. In the post-2015 world, the Mets weren’t going to spend big bucks. Due to the postseason, they were going to spend more than usual, but not break the bank. Management made it clear that they would only spend money to keep one big name free agent. It was either Cespedes or Murphy. The 2015 Mets went from being an average to dominant team once Cespedes joined at the July trade deadline. Murphy had good numbers in the second half but so did everyone. Once Cespedes (and to a lesser extent Conforto, Uribe and Johnson) came to Queens everyone improved. The list below shows the comparison of OPS in each half. It is night and day. When you have a guy who singlehandedly improved everyone else in the lineup, keeping him is a no-brainer. Every team needs a balanced lineup of righties and lefties. Going into 2016, the Mets had Duda, Granderson and Conforto. All three lefties had huge second halves. In fact, it can be argued that all three put up better numbers than Murphy. The Mets needed righthanded power. Wright had been diagnosed with a serious back injury, so he couldn’t be counted on. Lagares and d’Arnaud were not power threats. That meant that if the Mets wanted a balanced lineup, they needed a big righty bat. Cespedes was that guy. Murphy was another lefty. Walker had played his whole career in PNC, which is a very pitcher friendly park. The Mets made the correct prediction that his stats would be better at Citi Field. He put up his best OPS in 2016 before the injury. Many will argue that they felt Murphy was great and that only they knew it. Bottom line is that few in the baseball industry agreed. That is why he got only $37.5 million. His average annual salary ranked 24th among free agents that offseason. Had he really been considered that great he would have gotten more. Most importantly, no one thought he would become the superstar who dominated baseball in 2016 and 2017. Previous Peace On Earth And Good Will to YANKEE FANS!?!?!?! ?